Genting Casino was founded in 1965 and has been at the top of their game ever since. Over 50 years of experience has helped them to open and operate successful casinos and resorts all over the world, including in: the Americas, Malaysia, the Philippines, Singapore and the UK. You can see from the second you load the homepage on their website that they know what they’re doing and what their customers want. Their popularity and gaming expertise know no bounds and you’ll be hard-pressed to find a more professional or accomplished casino to play with. What’s more, they have an amazing selection of games – their portfolio of live dealer games is unparalleled; they’re fully-licensed; they have a fantastic support system for customers and they protect their privacy at all times. Genting Casino takes the task of protecting the privacy and security of their customers very seriously. They use firewalls, Secure Sockets Layer (SSL) and browser certification technology to ensure that any data you enter into any form or give over on or through their website is encrypted and kept secure. Genting Casino also offer their players many different secured payment methods, such as: debit and credit cards (verified by Visa and Mastercard), cash desks at UK casinos and Skrill, to ensure withdrawals and deposits are protected. Furthermore, customers’ personal and financial data are stored on secure servers which are only accessible by named members of staff via fingerprint technology. Home to over 300 games, Genting Casino offers players an unrivalled selection of slots, video slots, table games and jackpot games. They provide their players with the very best and most popular games, such as: Lucky Lady’s Charm Deluxe, Imperial Dragon, River Queen and Book of Ra Deluxe. Their jackpot slots are lucrative and the sums they pay out have been known to go up to £6 million! But what Genting Casino is most famous for is the vast selection of high-quality live dealer games they offer. Unlike many other casinos, they stream them live to players in HD and their customers can play on mobile and tablet, as well as desktop. Players can choose from games such as: Live Poker, Live Roulette, Live Caribbean Stud Poker, Live Baccarat, Live Dream Catcher and many, many more. The welcome bonus is very generous: when you sign up with Genting Casino, they’ll give you a 100% bonus on your first deposit, up to a value of £1,000! The welcome bonus isn’t the only bonus for players, though. On Tuesday, Thursday and Sunday evenings, Genting run their ‘Zero Insurance’ promotion – deposit £20, make a straight up bet on Genting Live Roulette and if the ball lands on zero, you’ll get a refund of up to £10! Every other day (Mondays, Wednesdays, Fridays and Saturdays), Genting Casino gives out 20 Mystery Cards to random players, between 6 and 11pm, who are playing Genting Live Blackjack. For this ‘Mystery Card’ promotion, players who receive a Mystery Card in one of their hands will receive a £10 bonus in their account the following day. Lastly, Genting Casino have a point scheme set up for their players to reward customer loyalty. This point system is great because, no matter whether you win or lose, you’ll accumulate points whenever you play. Different types of games offer a varying number of points per £100 wagered, but all of the points you collect can be converted into cash! Genting Casino provides its players with a tremendous level of customer support. Customers can get in touch with the support team any time of day or night, seven days a week. 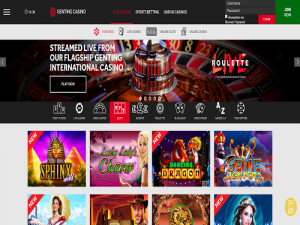 There are many different ways for players to contact Genting customer support, including by telephone, e-mail and through the live chat feature on their website. Note that the live help feature can be accessed only on their website but not on their mobile app. To sum up, Genting Casino brings over 50 years of casino experience to the game and that knowledge and expertise is used to the advantage of the player. Genting offers players a wide selection of games, ranging from slots and video slots to jackpot games and live dealer games, all on mobile, tablet and desktop. Not only can they play these games in a fun and accessible environment but they can also be sure that, both while they’re playing and at all other times, Genting Casino is taking their privacy and security very seriously. It’s clear to see, from all this, as well as their round-the-clock customer support and generous bonuses and promotions, that Genting Casino always puts the needs and desires of the customer and player above anything else.